At " The Pet Pantry " we understand the importance of our pets in all aspects of our lives. Our name, our label and made in Canada products tell our story of continuous commitment to quality. Established in 2017, we make sure everything we do honors our commitment to providing the highest quality products in the world, from the way we engage with our customers to the communities where we do business responsibly. Enjoy your view! ​ Keeping North America Strong! About myself... Owner of " The Pet Pantry " but first and foremost, breeder of CKC registered Shih Tzu. Parkway Shih Tzu! The Shih Tzu in the photo above and photos on the home page are of my own dogs that I have bred. My love and passion for the breed started back in 1987 when I acquired my first Shih Tzu and the story began. I am very proud of my dogs and have met many wonderful families over the years. 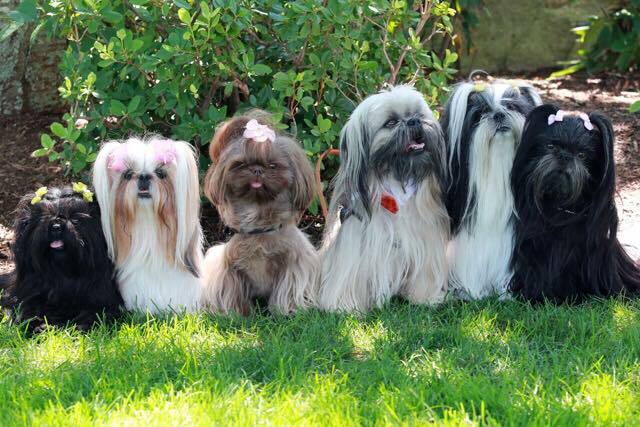 We hold a Shih Tzu gathering yearly to keep in touch with my babies and their families. My love for animals led me to embark on a new venture, a business providing finest quality natural pet products.